Suffering from TMJ Facial Pain, Migraines or Just Looking To Enhance Your Smile ? We proudly accept most dental insurance plans to make your visit more affordable. We provide our patients with comprehensive treatment and professional dental services. Fill out our online form to request your appointment. 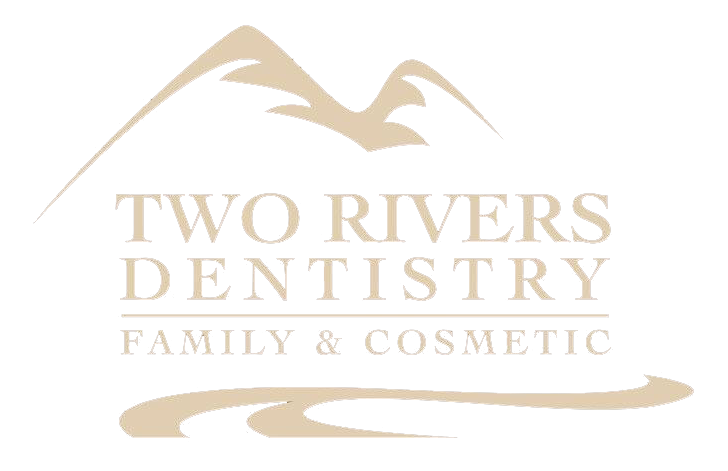 Welcome to Two Rivers Dentistry in McCall and Grangeville! We are pleased to provide a broad spectrum of Dental Services to the Central Idaho corridor. We are a caring dental practice with experience in treating patients of all ages with all types of dental conditions. From a simple teeth cleaning to a complicated restorative treatment, we are dedicated to meeting all of your family’s dental needs and goals. Our dental team enjoys caring for children and adult patients alike, and we welcome you to bring your entire family to one of our dental offices for high-quality, comprehensive dental care. To accommodate your family’s unique needs, we have team members who speak English, Spanish, and French. We strive to provide you with an enjoyable, positive experience each time you visit our office! We offer a wide variety of dental treatments to help improve the health and beauty of your smile. Whether you are in need of general and family dentistry or cosmetic and implant dentistry, we are here to care for your smile. We also utilize advanced dental technology to enhance your dental experience at Two Rivers Dentistry, including cone beam 3D imaging, same-day crowns, dental implants, Wisdom teeth removal or extraction and dental lasers. Our experienced Dental Team is proud to provide excellent dentistry from McCall to Grangeville Idaho, and the surrounding communities. We invite you to contact us today to learn more about our dental services and to set up your individual consultation with our talented dentist. Our web site is a great source of information for most every type of dental procedure so please take advantage and browse through our wide range of services. We look forward to the opportunity to care for your family.